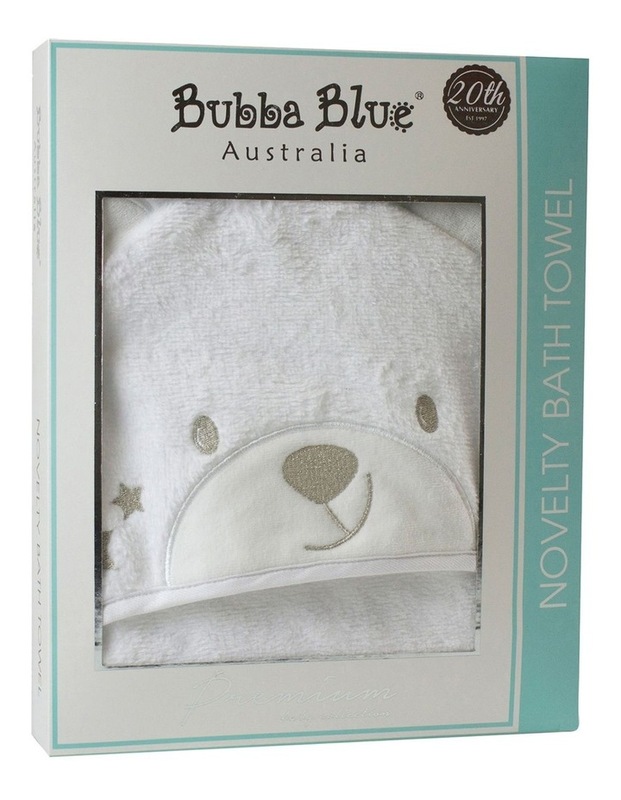 Keep your baby snug and warm with our Bubba Blue Novelty Hooded Towel. Featuring a cute white bear hood and corner pockets for little hands, this hooded towel is sure to become a bath time favourite. Coordinates perfectly with Wish Upon A Star nursery range.